Would You Eat A Jelly Bean That Tastes like Spoiled Milk? The simple sweet pastime of eating delicious, flavorful jelly beans is gone. Yes, cherry and green apple still exist. But how boring are those? 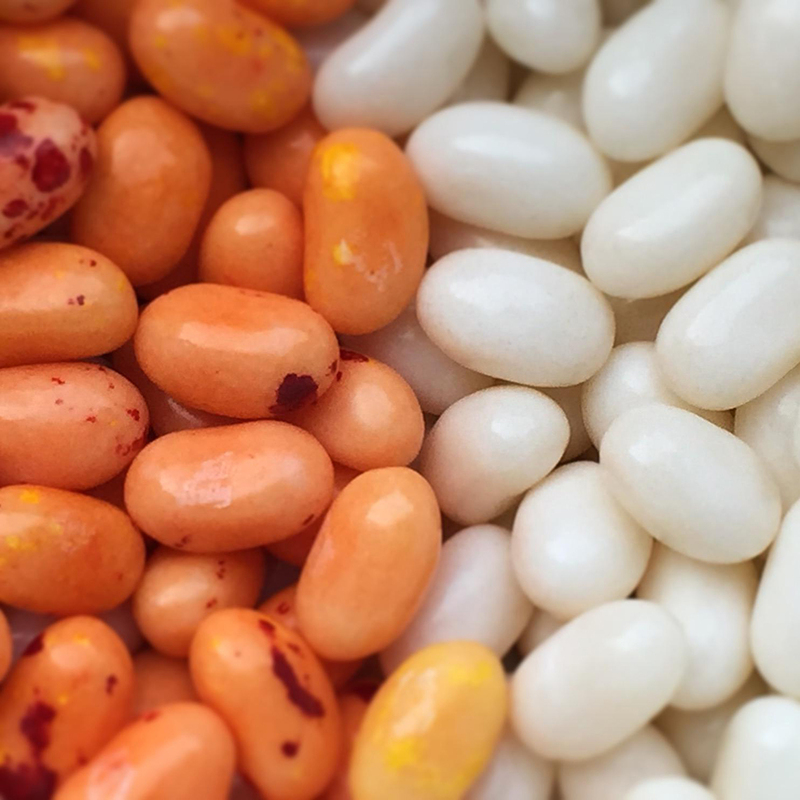 Thanks to Jelly Belly's fourth edition of the BeanBoozled collection, you can now have Spoiled Milk– and Dead Fish–flavored jelly beans. The BeanBoozled collection is a gamble; it pairs each classic Jelly Belly flavor with an identical disgusting flavor, so you don't know what you're going to get until you bite in—kind of like a jelly bean roulette. So what's BeanBoozled? It started in 2007 as just a unique set of jelly beans by the company. However, the collection gained popularity in 2013, when it became a YouTube hit. With the BeanBoozled challenge, the Internet at large can post videos of themselves taking the gamble on these mystery jelly beans. Over a million videos have been posted of people of all ages trying the BeanBoozled collection, laughing, gagging and spitting. Of course, you don't go in completely blind. On the back of every BeanBoozled box is a helpful key, showing the classic flavors and the new gross flavors side by side; you know that if you pick up a yellow-and-white-marbled jelly bean, you're either going to be getting buttered popcorn or rotten egg. The fourth-edition BeanBoozled collection will be available this spring. In the meantime, you can head to Jelly Belly's site to shop from the third-edition collection, which includes such gems as Lawn Clippings and Skunk Spray. The collection even includes a $95 BeanBoozled case, for the generous and sadistic gift-givers out there.